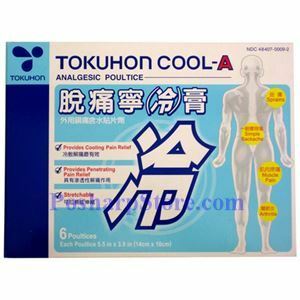 As an external analgesic, this Japanese Tokuhon Cool-A Analgesic Poultice is to temporarily, coolingly relieve minor aches and pains of muscles and joints due to simple backache, arthritis, strains, bruises and sprains. 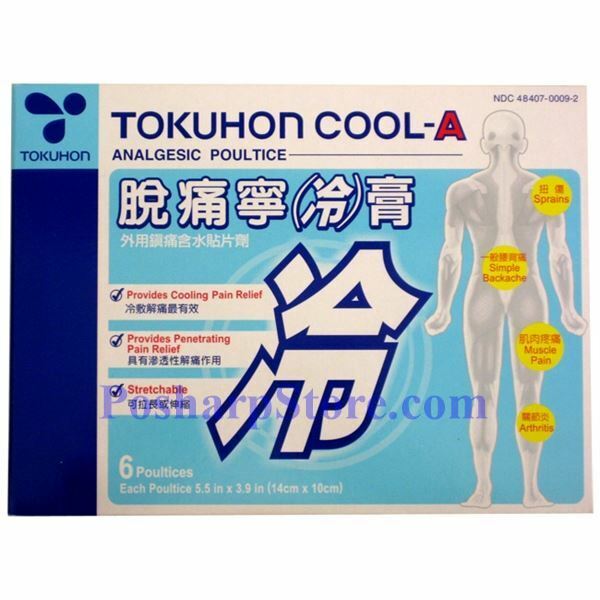 It provides penetrating pain relief and is stretchable. 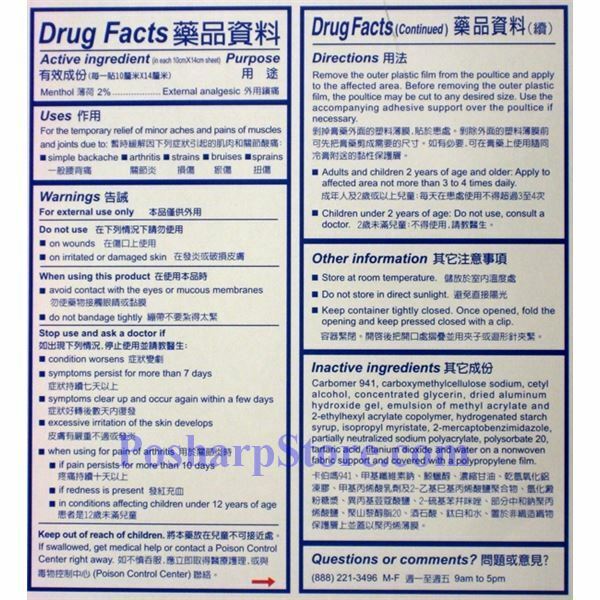 Inactive Ingredients: Carbomer 941, Carboxymethylcellulose Sodium, Cetyl Alcohol, Concentrated Glycerin, Dried Aluminum Hydroxide Gel, Emulsion of Methyl Acrylate and 2- Ethlhexyl Acrylate Copolymer, Hydrogenated Starch Syrup, Isopropyl Myristate, 2-Mercaptoenzimideazole, Partially Neutralized Polyacryate, Polysorbate 20, Tartaric Acid, Titanium Dioxide, and Water on a nonwoven fabric support and covered with a polypropylene film.